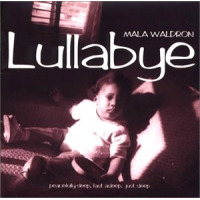 The soulful originals on Always There allow Mala Waldron to communicate emotionally, while her genius at the piano and keyboards allows her to communicate musically. The two modes overlap, of course, as she interprets lyrics and scats with authority. Working with a bright, stellar quartet, Waldron combines straight-ahead jazz, pop, R&B and soulful ballads in one program. Both bass and guitar provide her with solid solo work, while the entire ensemble cooks with a cohesive slant throughout. Waldron's piano solos contribute immeasurably to her program. Cascading lightly over the keyboard, she romps with a smooth, easy-to-like texture. At times, as on "Ellie, she combines a percussive piano attack with wordless syllables to yield a captivating and action-filled combination. At other times, as on "I Do Remember You, she prefers a smooth jazz approach that simmers gently with all burners on low heat. Light My Fire provides a welcome thrill. With this familiar tune, Waldron and her quartet turn loose the emotional bonds that exist in our everyday lives and take us for an exciting ride. Her vocal lead and backup voices combine with Steve Salerno's powerful guitar to stir the pot vehemently. After that, you just want to replay the track again and again to enjoy its lasting effects. 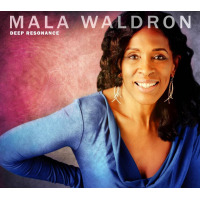 While this session comes from several directions and adheres to many styles, Waldron's focus remains tied to the honest conveyance of good music with a jazz lover's interests at heart. Track Listing: Whispers in The Wind; Because of You; Always There; Too Good For words; I Do Remember You; Ellie; Why; Can't Stop Thinking About You; Light My Fire; Proud Lion; Maybe It's Not So. 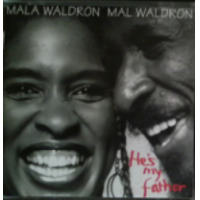 Personnel: Mala Waldron: vocals, piano/keyboards; Miriam Sullivan: bass; Steve Salerno: guitars; Michael "T.A." Thompson: drums, background vocals; Jim Clouse: additional pecussion (track 5).